American homes should be well-designed, well-constructed and well-located in attractive communities with educational, recreational, religious and shopping facilities accessible to all. American homes should be built under the free American enterprise system. 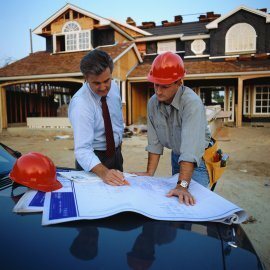 We encourage research to develop new materials, new building techniques, new building equipment and improved methods of home financing. a subscription to our e-newsletter full of professional and local information. Invitation to member meetings, including your meal. Each month GHHBA has a different speaker, and this serves as a good networking opportunity. Explore unique advertising opportunities in our e-newsletter, on our website, or in our many programs-- including an annual golf and fishing tournaments. Listing in our public membership directory; you can edit this just by logging in to keep NAHB informed, and allow us to refer call-ins to your business. Use of the GHHBA Builder or GHHBA Associate logo on your letterhead, website, or business cards. This is one way consumers know who to trust. You can pay by credit card or choose to be invoiced later.